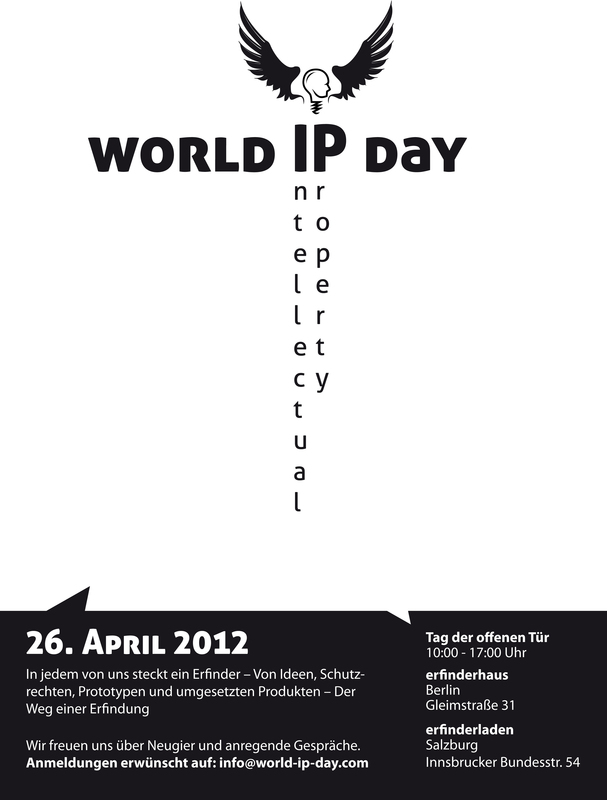 World IP Day will also be celebrated with an open house day at the company´s inventor stores Erfinderhaus in Berlin, Germany (Gleimstraße 31) and erfinderladen in Salzburg, Austria (Innsbrucker Bundesstraße 54) on Thursday April 26th from 10 am to 5 pm. The event was established by the World Intellectual Property Organization (WIPO) to “raise awareness of how patents, copyright, trademarks and designs impact on daily life” and “to celebrate creativity, and the contribution made by creators and innovators to the development of societies across the globe”. This year´s motto is “Visionary Innovators”. Either with an event or an activity, organizations from all over the world will participate. A patent office is a governmental or intergovernmental organization which controls the issue of patents and IP.